Sofia Melnychuck is a student at BASIS Tucson North where she is an 8th grader. As an artist and software developer of several iBooks and apps, she started a company with her mother when she was four by integrating art and technology with the goal to encourage young girls. Sofia is currently bringing this into the areas of art and programming. She was also a recipient of the 2017 WWDC scholarship and the middle school winner of ThinkSTEAM’s 2017 ThinkBIG Video challenge. Sofia is excited to be the Arizona State Chapter Lead for ThinkSTEAM and to share her passion for STEAM. Deepika is a freshman in Orlando, FL. She loves national parks, coding, and playing the piano. She is extremely passionate about closing the gender gap in STEM settings, and hopes to help improve the situation for other girls in her position. Marzia was born and raised in Lafayette and West Lafayette, Indiana, respectively. She is passionate about the sciences and engineering, which she has always found to be fascinating. Marzia is also passionate about volunteering at the Veterans Home and teaching elementary school kids about STEM and its importance when applied to the real world. Sasha loves to have fun and hang out with friends. She wants to get involved with CS and help provide students with information and access to build on their curiosity. Sasha has been to many Hackathons and has taken AP CS. She enjoys dancing and singing karaoke in her free time and her friends would describe me as spontaneous. 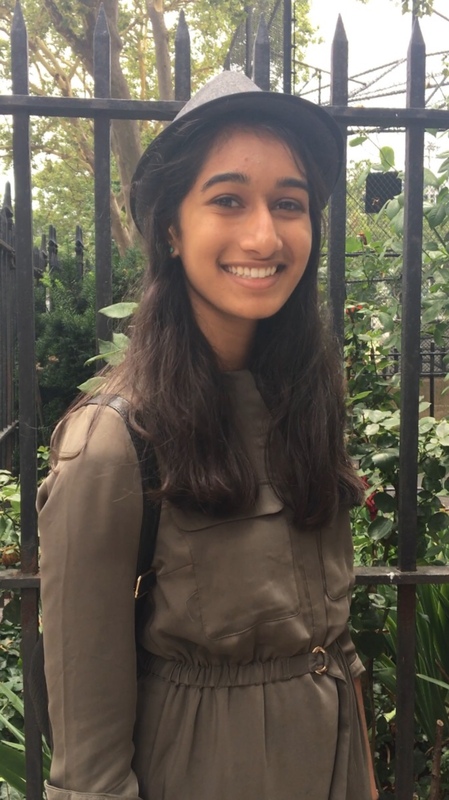 Aditi Locula is a rising freshman and will be attending Troy High School in the fall. She is a hard-working individual and is very passionate about the STEM field. One day, she would like to pursue a career as an engineer. 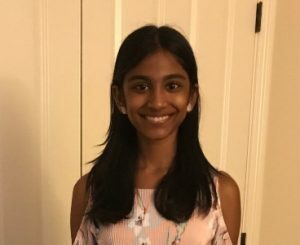 As of now, she would like to major in computer science, however as she gains more exposure in all the fields of engineering, she’s open to changing her mind. Aditi has a talent for mathematics and has received many awards and distinctions for several math contests, including Pascal, Gauss 8, MML, Fryer, MOEMS, and more. 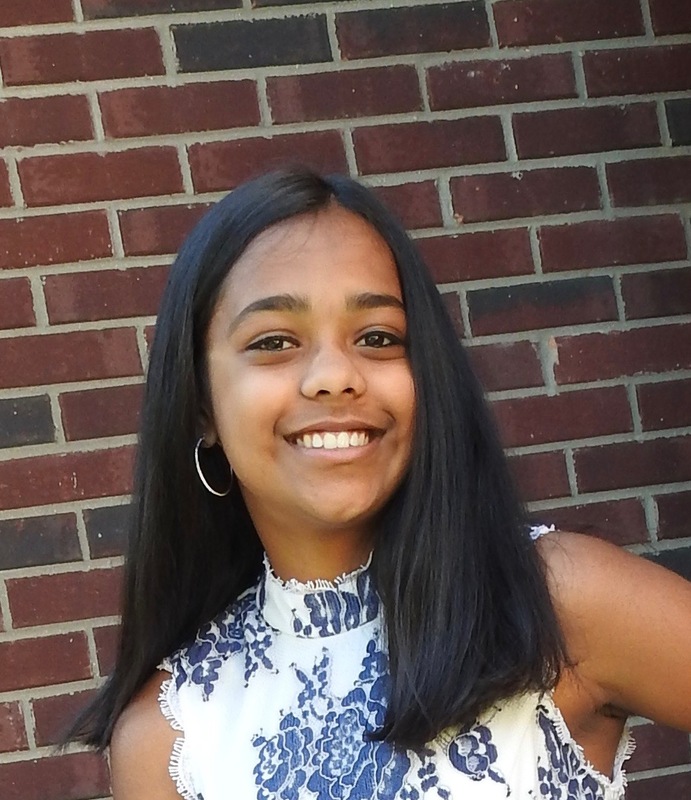 Aditi loves to ride her bike with her friends and play tennis in her free time and is looking forward to joining the high school tennis team. She is currently working on learning Python and enjoys coding. Akhila Boda is a rising junior at MECHS. She has a strong passion for STEAM and bridging the gap of gender inequality. Akhila the president of MIT Girl Up Club (a United Nations Foundation Campaign) and over the past two years, they’ve hosted many fundraisers to raise money for girls in Malawi and Liberia to get an education. 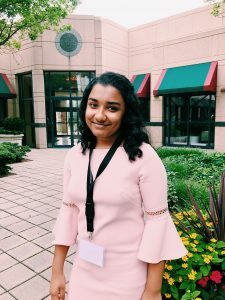 Through Girl Up, Akhila has learned what it takes to use my voice for supporting other girls. In addition, she been recognized as an NCWIT Awardee for the past two years. In 2016, Sankara Eye Foundation (SEF) sparked an interest in her and she came up with a way that she could host a fundraiser for curable blindness. First, Akhila made a page on Sankara Eye Foundation’s main website and started sending the link to my community which allowed them to donate money to my page. She sold curry leaf plants and the money that she received from my sales were donated directly to SEF. Today, Akhila has raised over $1500 to support 50 eye surgeries free of cost, eliminating blindness in India. Shrudhii Kundu is 15 years old and a sophomore at Lakeland High School in Westchester, New York. Her interests vary from dabbling in coding, researching nanoscience, experimenting with colors in Art and reading. Her passions include dancing and she loves to experiment with different dance forms. As part of her school’s Science Research program, she is studying nanotechnology and how it can be used in to benefit society. As part of the ThinkSTEAM program for the past year, she has taken part in many workshops, including the Synthetic Biology Workshop with Columbia’s iGEM team, the Engineering Workshop with Columbia’s SWE, their Makerfaire Workshop at Barnes & Nobles, and many more. Alliyah Steele is 14 years old and a freshman at Putnam Valley High School in Westchester, New York. She aspires to be an astrophysicist and a computer scientist in the future. As a proud supporter of ThinkSTEAM’s mission, she has attended several workshops and was the Individual Winner of the 2016 ThinkBIG Challenge. 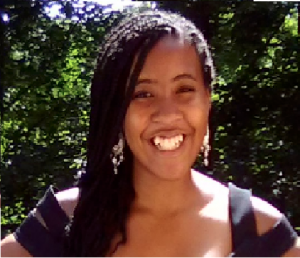 Additionally, Alliyah taught herself how to code in HTML/CSS and founded Allie’s Tutoring. 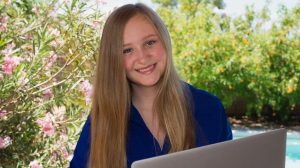 Math, Science, and technology are her favorite subjects and her greatest hope for the future is to see more girls interested and pursuing careers in STEM. Caroline Pope is a 14-year-old freshman at Fox Lane High School in Bedford. She was in the first group of students who completed three years of Project Lead the Way in middle school where she built robots using Vex Robotics and programed their movements in RobotC. 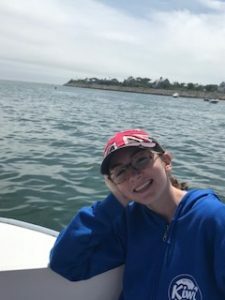 Based on her eighth grade essay and love of animals and marine life, Caroline was selected in the first round for the PNW BOCES Marine Biology field trip to Key Largo, where she studied the effects of sunscreen and other manmade product on the coral reefs. In fourth grade, she was selected to be part of the IBM Science Saturdays at the Thomas Watson Research Center, where she had an opportunity to meet with engineers from IBM and perform different experiments in each person’s specialty. Outside of school, Caroline enjoys puzzles, swimming with her mom, and horseback riding in the English Style. After eight years as a camper, Caroline was a Councilor In Training at Camp Kiwi this summer. In eighth grade, she started babysitting for a three-year-old and a three-month-old. 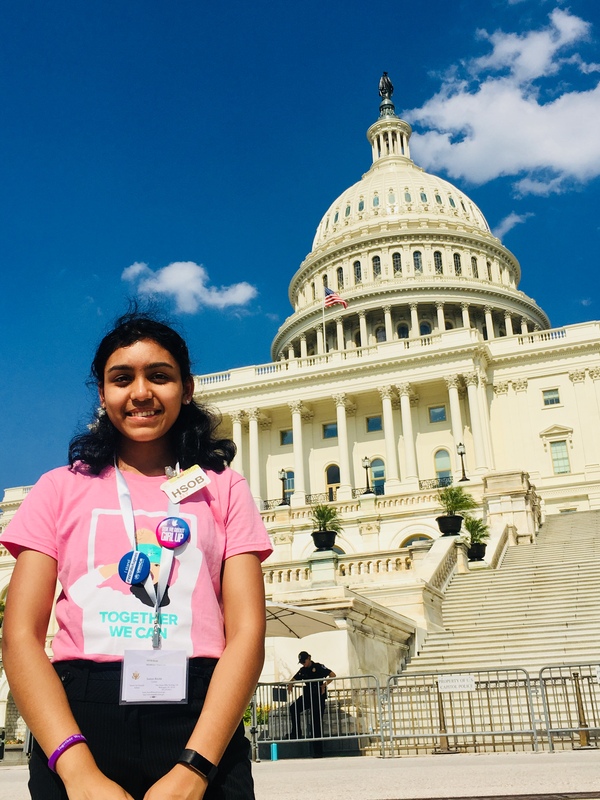 Smriti Somasundaram is an eighth grader at Tumwater Middle School in Olympia, Washington. Her hobbies interests include painting, playing basketball, and dancing. 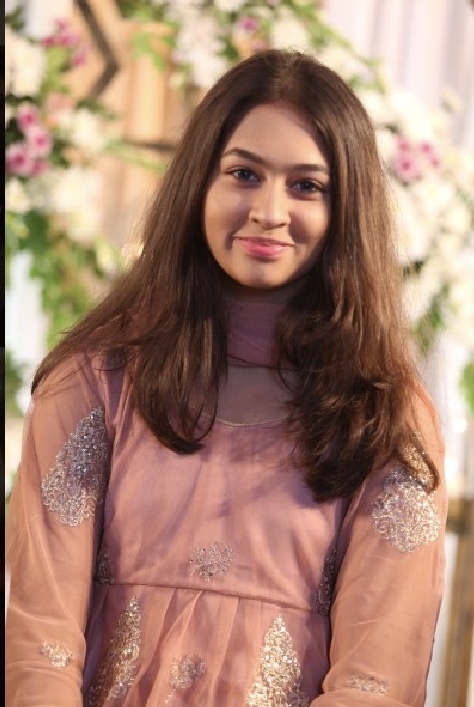 She first got involved in ThinkSTEAM 2 years ago for the ThinkBIG challenge as a part of the team “STEAMLetes” and was the Group Winner in 2016. This past year, she tried to introduce STEAM to other girls in her area and encourage them to participate in the ThinkBIG Challenge.